Thank God, this huge faux fur arrived on time, because by the time you read this, I’m on my way to Austria for a week full of snow, snowboarding and fun with friends! So this warm furry vest can come in quite handy ;) I don’t have a clue if I will be able to update the blog or even have internetaccess in the mountains of Mayrhofen, so I already scheduled some posts for the upcoming week. See you soon! super mooie foto! 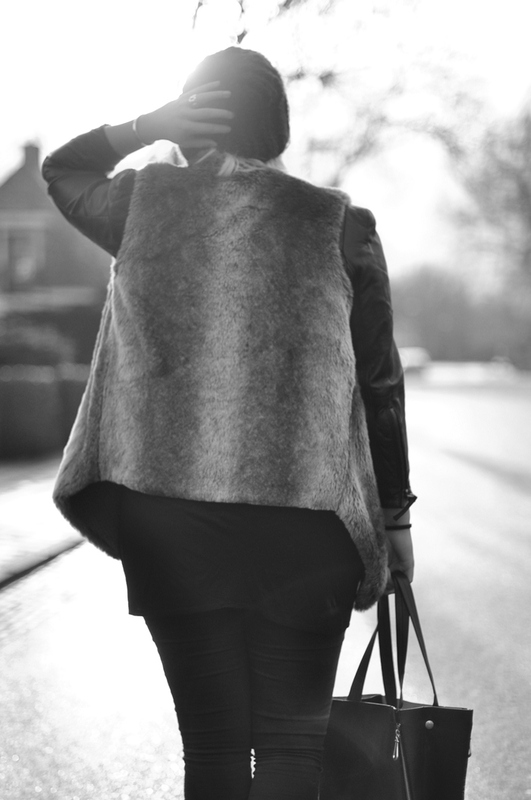 dat faux fur vest ziet er echt heel gaaf uit! Heeeeeeul veeeeel plezier in de sneeuw, geen ledematen breken en een hele fijne kerst! I’ve got the same, nice shot!